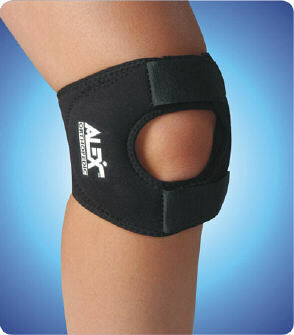 Improves Patella Tracking while alleviating pain and pressure. Provides warmth and support around joint. Inferior patella pad applies compression on the tendon without restricting or binding. Adjustable hook and loop straps for easy application. Wraps around for quick, easy application.